True Tubes are the creation of Durb Morrison, a veteran tattoo artist of some 24 years from Ohio. He has excelled in his tattooing career. Apprenticing under Tim Miller in Colombus and being on the road from an early age, he gained a wealth of experience. During his career he has won a multitude of awards, opened two tattoo studios and has been published in almost every major tattoo publication. He currently writes for Tattoo Magazine and organizes and promotes the Hell City Tattoo Festival. On top of this, he is also the man behind the revolutionary True Tubes, which were developed from the industry’s need for a steel tipped disposable tube, and accompanying True Grips. These promise to beat all other disposable tubes and grips on the market as well as rival the traditional steel tubes. True Tubes are a true innovation and a great alternative to the usual plastic-tipped disposable tubes. They are the first ever disposable tube with a unique steel tip, which means the metal-on-metal enables the machine to run consistently and at its proper speed. True Tubes solve the many issues caused by plastic-tipped disposable tubes, such as increased friction and the danger of injecting plastics into the body. The ergonomic design of the tubes means they fit perfectly into the artists hand, and the removable rings mean they can be customized to fit a hand of any size. They are the easiest disposable tube for outlining with, and also have better ink flow than other disposable tubes available. Being E.O. gas sterilized, packaged and work-ready, alongside being completely disposable, ensures they are also a convenient alternative to steel grips. They eliminate the need to scrub dirty tubes and save on autoclaving time and costs. And, although they are possibly a little pricey, they are perfect for conventions as they have the benefits of both disposables and traditional steel tubes. The only real downside was pointed out by one artist with the environment in mind – the steel can perhaps seem a little wasteful if used every day. A winning team is the True Tubes combined with True Grips. True Grips promise maximum comfort and the relief of tired, aching hands and fingers thanks to the truly unique multi- layer memory foam that conforms to the artist’s hand. This also helps to absorb the impact of vibrations that can cause Carpal Tunnel Syndrome and other such ailments, which can be detrimental to a tattoo artist’s career. Instead of the artist having to work with the grip, the grip works for the artist. It allows for a range of grip options and can expand the outside tube grip up to 1.5’’. 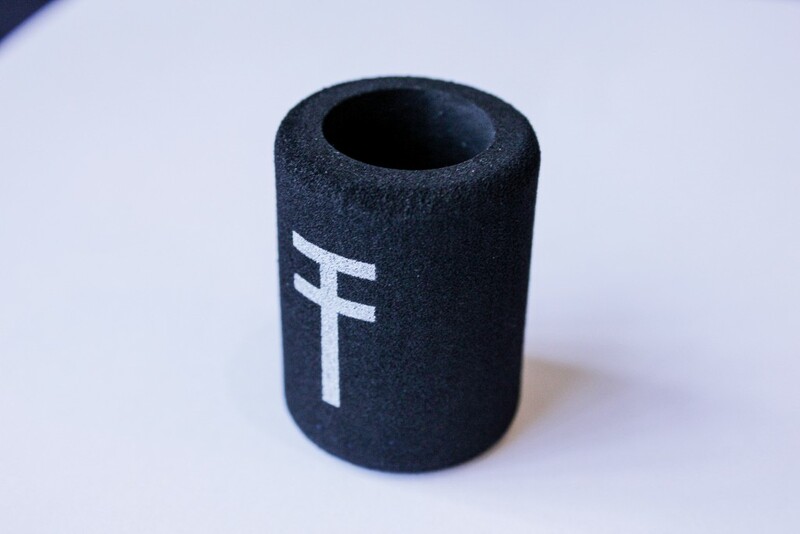 They fit perfectly with True Grips but are also able to be used with any 1’’ steel tattoo grip. On top of this, they are E.O. gas sterilized and packaged, just like the Tubes. When tried out, our artist found that ‘The grip fits to my hand rather than the other way round, which makes it really comfortable.’ They are completely disposable as well as biodegradable and have a non-slip texture that retains its grip even upon exposure to all the ointments and inks that are used during the tattooing process. What’s not to like? True Tubes have been researched and tested by today’s top tattoo artists, including Guy Aitchison, Nick Baxter, Big Gus, Myke Chambers, Russ Abbott and many more; which has helped in creating and developing the many unique features of True Tubes and True Grips. They are created by tattoo artists for tattoo artists. 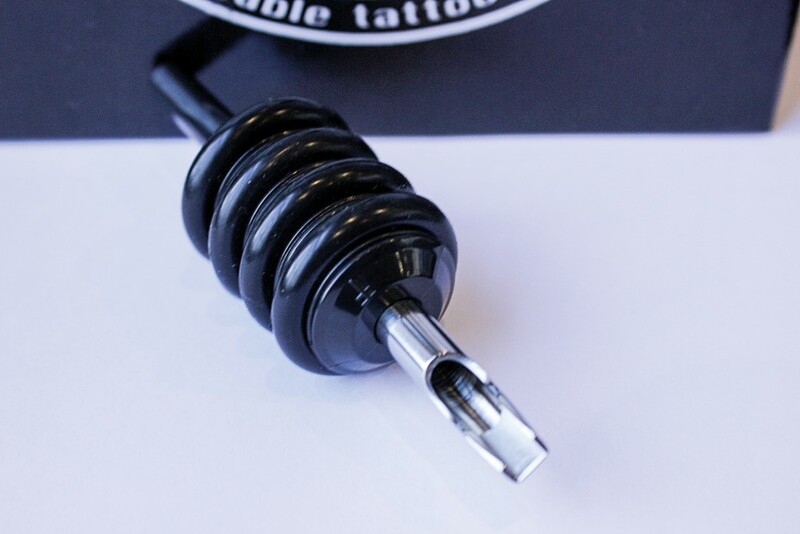 True Tubes and Grips offer a more comfortable tattooing experience and a whole host of other benefits.